September marks 1 year since we started Blackpool Raspberry Jam and in our first year we have done so much! We ran Pibrary, taking the Pi into libraries across the Fylde coast. We helped a local college to embrace Sonic Pi. We hacked robots and toys into intelligent projects. So to celebrate we are having another jam on September 19th, 1pm to 4pm at Palatine Library, Blackpool. Bring your Pi, project and party hat for an afternoon of hacking...and pizza! There will be free pizza and cake for everyone! 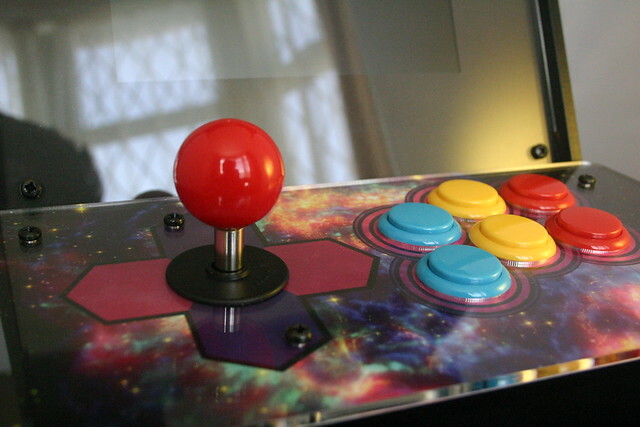 Les will be bringing his Picade arcade machine which is powered by a Raspberry Pi 2. The event is free for children and adults, but we ask that all children are accompanied by an adult.